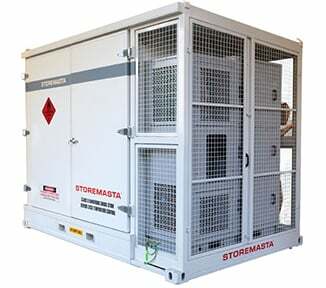 STOREMASTA manufactures a range of corrosive chemical storage cabinets for the storage of Class 8 - Corrosive Substances. All STOREMASTA corrosive storage cabinets are engineered and manufactured in full conformance with the Australian Standard: AS3780-2008 - The storage and handling of corrosive substances. Compliance with AS3780 make STOREMASTA’s acid cabinets safe for the storage of corrosive substances such as sulphuric acid, hydrochloric acid, nitric acid, sodium hydroxide and potassium hydroxide. 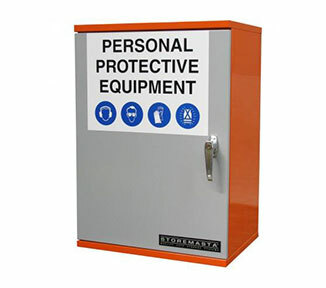 STOREMASTA manufactures two different types of corrosive safety cabinets. 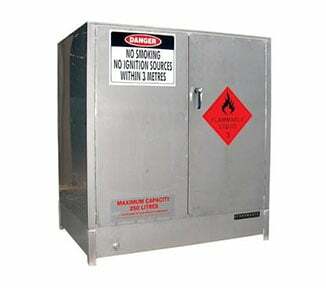 These two types include the polyethylene storage cabinets and the metal corrosive storage cabinets. 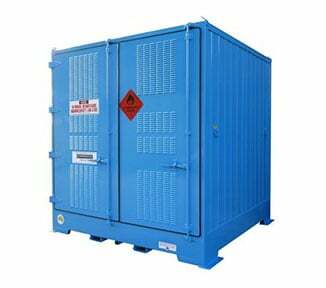 The polyethylene acid corrosive cabinets are specifically designed for the storage of harsh corrosive chemicals such as sulphuric acid. They are manufactured from 100% high density polyethylene and they have been chemical resistance tested by the CSIRO. 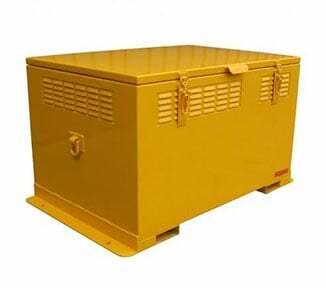 Metal corrosive cabinets are intended for the storage of less corrosive chemicals. 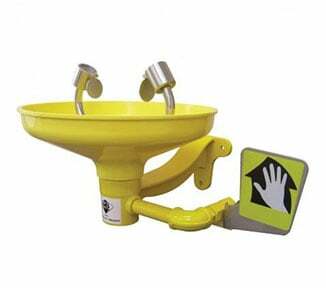 They are manufactured with heavy duty sheet steel and finished with a high build powder coat. The shelves are fitted with PVC spill trays to prevent any spills from coming into contact with the metallic structure. Doors that don’t open inwards and which can be opened from within the cabinet. 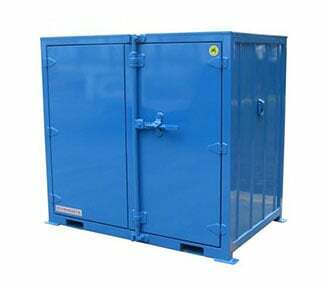 Liquid-tight spill containment sump that is 150mm deep and has the capacity to hold at least 25% of the cabinets maximum storage capacity. 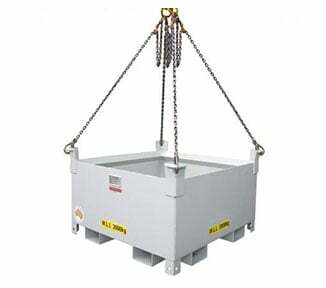 Constructed from a corrosive resistant material or protected by a corrosive-resistant coating. 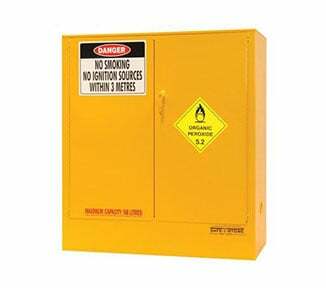 Class 8 dangerous goods diamond to warn workers of the corrosive material stored within the cabinet. All STOREMASTA acid and base storage cabinets are manufactured at STOREMASTA’s Australian based manufacturing facility using high quality materials and advanced manufacturing processes. Browse our range of corrosive cabinets and please feel free to contact us if you require any expert advice.